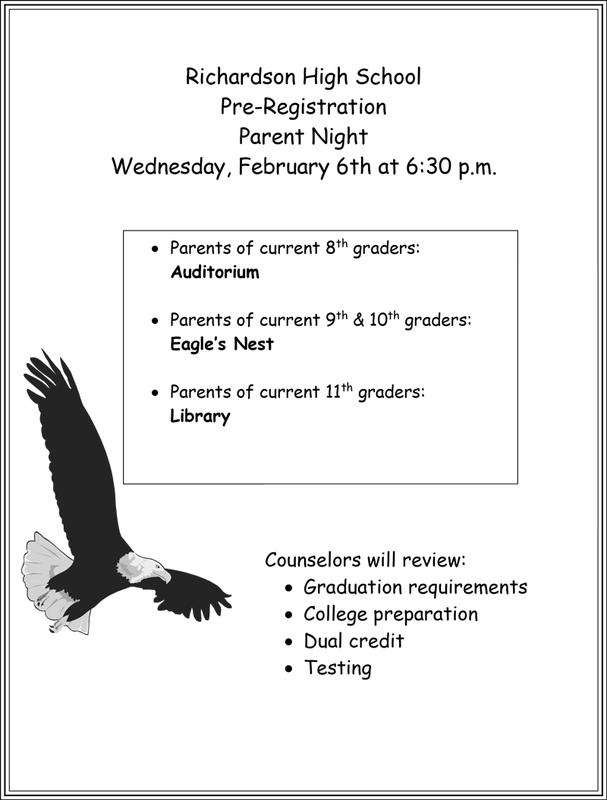 Richardson High School Pre-Registration Parent Night is on Wednesday, February 6th @ 6:30pm for parents of 9th, 10th and 11th grade students as well as incoming 8th graders. RHS Counselors will review graduation requirements, college preparation, dual credit and testing. See attached flyer for specific meeting locations at the school.